Within your Sendmode account go to SMS Marketing -> Other Tools -> Email2SMS. Add one or more email accounts that are allowed to send SMS from your account. This is verified for security before sending. Complete the e-mail subject and message information and send as normal. The email is converted to SMS by Sendmode and delivered to the mobile number handset. An SMS credit is deducted from your account and delivery report is created for audit and tracking purposes. Thanks to Sendmode, we can now send text messages directly from within our email system. Contacting customers and staff is now cheaper, quicker and so easy to do. We can even see which messages have been delivered in the reports. 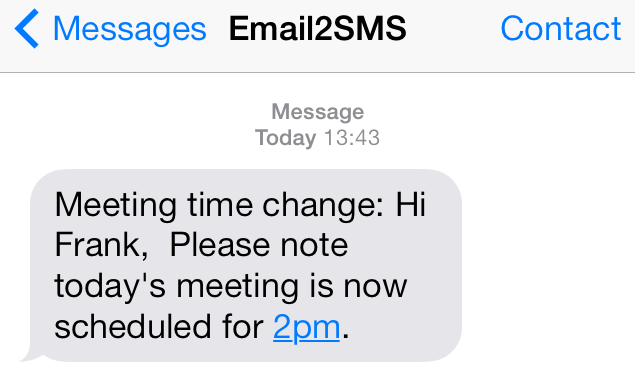 The team at Sendmode have been very supportive, we highly recommend the Email2SMS system.